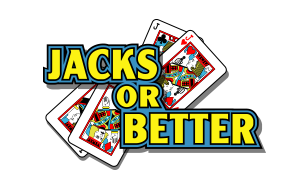 Jacks or Better is the most common variant of video poker frequently played at land based and online casinos. In addition to its popularity, the game is quite simple to play and it has high payout potential. 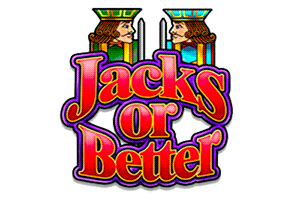 As the name implies, to start winning money you need to get a hand of Jacks or higher. A hand of two Jacks is paid the lowest, while a hand of royal flush is paid the highest. Just like the other video poker variants, the elements of skill and luck play a big role. By making smart choices about which playing cards to give up and which ones to keep as well as with a bit of luck, you may hit the highest paying hands. To play Jacks or Better, sign up with an online casino and make a deposit. Then find the game and choose how much coins you want to bet per hand. Afterwards click the Deal button. Once you select which cards you want to keep, click on the Draw button. If you get a pair of Jacks or better, you will get a payout. Jacks or Better is a five card draw game. The video poker variant uses one deck of cards that are shuffled before every hand. Doubling: Jacks of Better has a Doubling option that can be activated if you achieve a win on any hand. You have the chance to double your winnings up to a maximum of 2,000 coins. Learn the rankings of different hands and practice the game for free. Go for the flush over a pair. Don’t keep the pair in the hope to get a better hand. If you have nothing, keep the high cards. Keep four to an inside straight if at least three cards are Jacks or better. Sometimes it is better to give up the small payouts in the pursuit of the big ones. There are many Internet casinos that offer Jacks or Better video poker variant. We recommend Sun Palace Casino, a reputable and safe online casino that uses its own proprietary software. The quality of the game is superb. The casino also offers excellent bonuses and has great security and player support. US players can sign up with Malibu Club Casino powered by Rival Gaming. The casino caters to the needs of US casino fans and offers excellent gaming experience. The casino also offers attractive bonuses, many banking options and has top notch security. 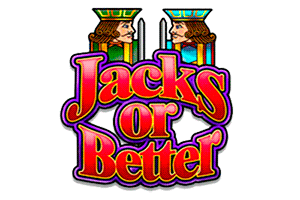 Jacks or Better is very fun and interesting video poker variant. It is easy to play and its rules are easy to understand. Use a simple basic strategy to play the game and hit the payouts. In addition, practice the game for free before you switch to real money.